Croquet anyone? 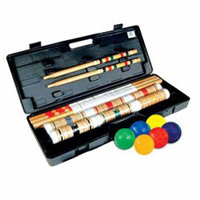 Relive simpler times with a friendly game of croquet. Great for kids too.